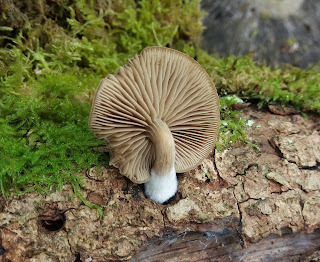 Growing on a piece of fallen branch (Oak), and with a finely hairy base to the stem, these could easily have been taken for one of the Mycena. However the spores turned out to be brown, rather than the white of the Mycena. 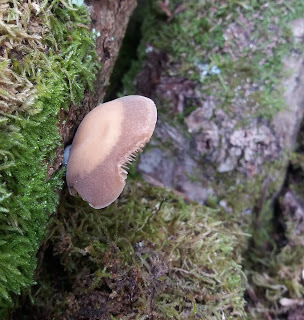 There are only five species of Simocybe listed in Funga Nordica, and I was lucky that this is the only species with distinctly kidney shaped spores which saved a lot of microscopy trying to measure the Cheilocystidia. 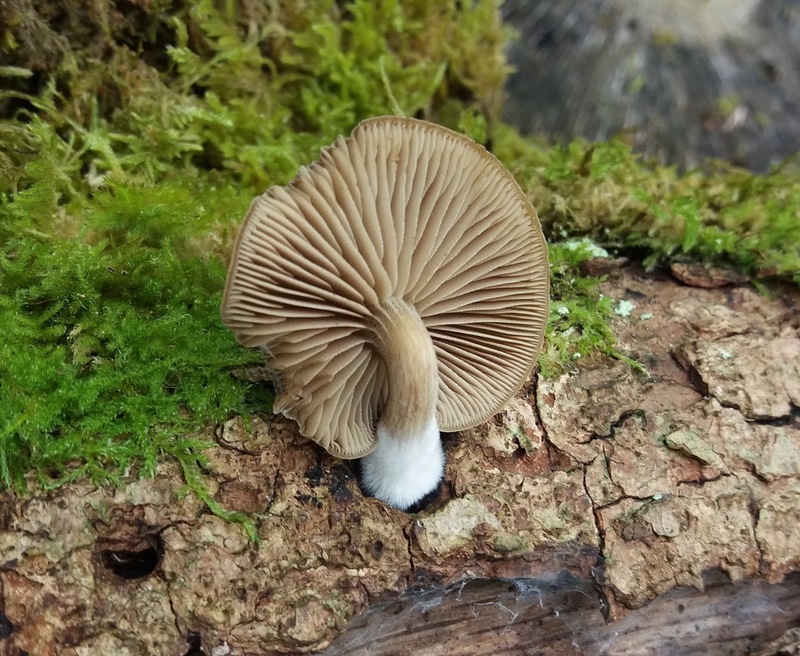 It is also the largest of the five species - the caps of these were around 35 - 40 mm in diameter, significantly larger than the other alternatives.